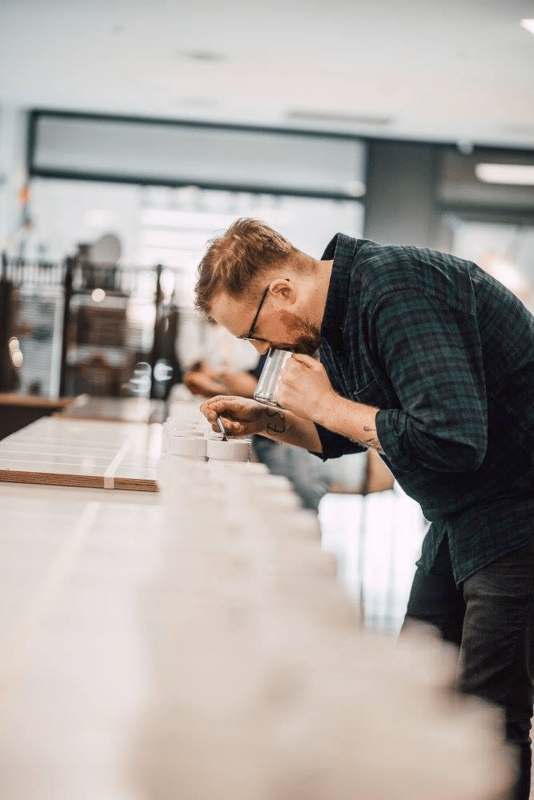 Read on to meet Janis Podins, brewing your daily cup of coffee at The Coffee Collective, Copenhagen. 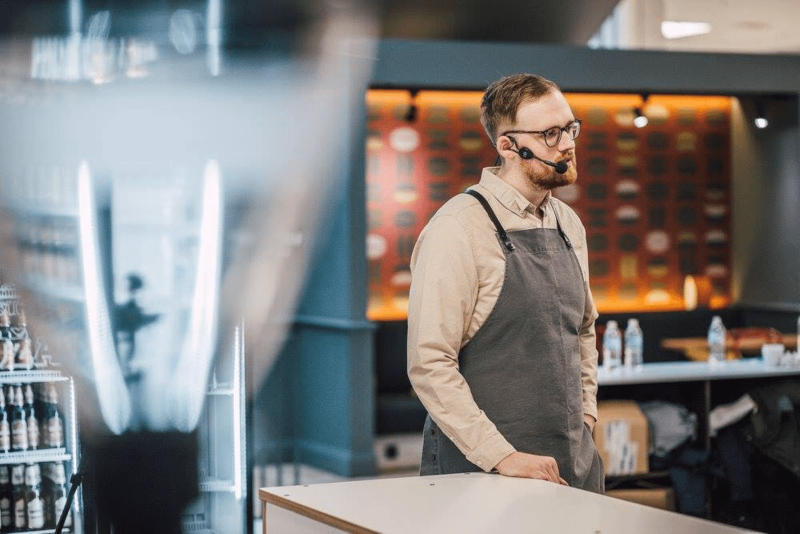 Janis Podins is 24 years young—as he put it himself— Latvian from Riga, working as a Sous Chef (Head barista) at The Coffee Collective, a roastery and cafes that need a little introduction. Currently, his job requires him to be based in Copenhagen, Denmark. 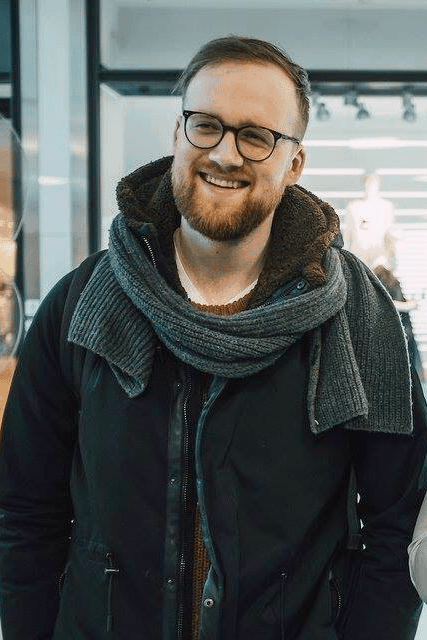 Although he is a barista full-time, he has always had an ongoing interest in people management and development. It is his sixth year of working in the industry. It is actually an interesting story. After high school, I really wanted to play professional rugby and the only way that made sense to me was to go to a university in England. I had applied and was almost on the way, but a serious back injury prevented me to have this opportunity. After 6 months of recovery, it was the time to retire from a sport that I had loved for 12 years. I knew that there was something else lined up for me. I wanted to work, but not behind the computer. So I was looking, for good 2 months, until I stumbled across this ad in which they were looking for baristas. I did not know what that word meant, so I looked it up and when I read that it is a coffee professional, it just sounded interesting, but I knew nothing about it. As I started working the true passion for the craft was still not there, but I did enjoy the work so much. Everything changed when I was exposed to more information about coffee from books and articles online. I spent every morning alone in the shop to practice and put the new ideas to test. It was a very slow process, but through it, I realized that this is it, this is what I have to go after and make it my life. I would play professional rugby. Well, at least that was the plan before. But to be completely honest, I have never thought about that. My mind has been completely submerged in coffee for the past years, so the only thing I am thinking about is how to get better in what am doing right this moment. 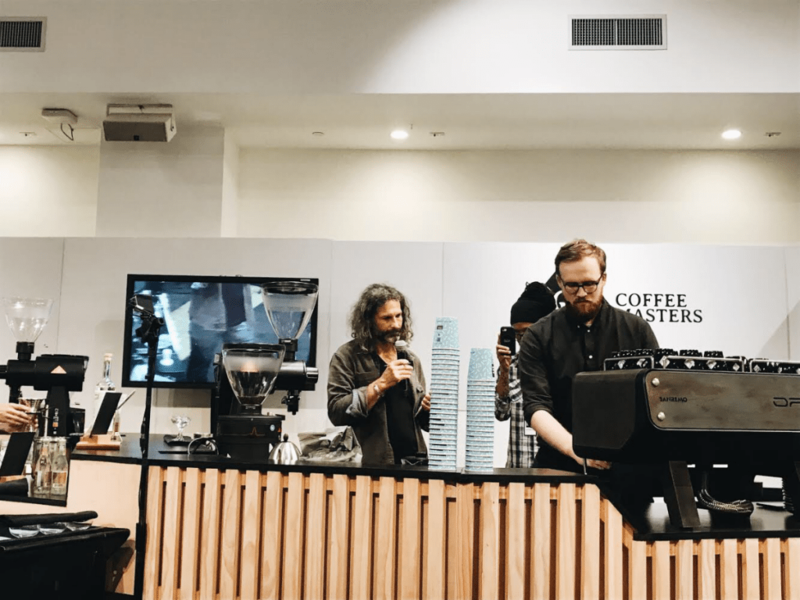 I love competing in coffee competitions, so a hobby is always to practice and prepare. My mind is always generating ideas and things to try out. The only piece of advice that I would give is to travel to experience the difference in culture, coffee and flavour. Travelling has been a big part of my professional development. I do think that it really opens your eyes and shows the opportunity that the coffee culture could bring. So read European Coffee Trip on where to go, pack your bags as often as possible and travel. I wish I would have started earlier and had more people to ask questions. For the first year I was working in a chain store and just enjoying it, but only after that, I was starting to gain knowledge one step at a time. Building a network of people around you to ask questions and spar with is crucial. The best part of this industry that most of the professionals are really great people and will always help either with some advice or an opinion, all we have to do is just ask. 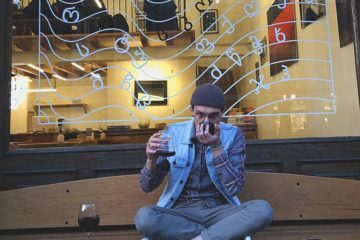 There are so many good baristas out there, full of knowledge about coffee and how to prepare it deliciously, baristas who are clean and fast. 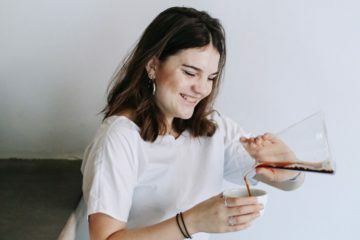 There really is a lot of fast baristas (I am not in the fast group, but working towards it) and it is important. But a great barista is the one that can take all that I mentioned above and lift his head and give full attention to the customer. That will be confident and almost automatic in his/her movements because all we really want is to produce an outstanding cup of coffee shot after shot. For me it is the service that matters the most, making people happier than they were before. I have always managed to deal with that because at work I focus on the customer and my co-workers. We are on a stage and there really is no place for personal issues. I know it sounds a bit tough, but really that is how it should be. What we do not see is that customers are likely to feed off our emotions before we even get to talk. It really helps to be nice to people, always greet them and give them the best possible service, even if you feel it is too much, the customer will always appreciate it and come back for more. Drinking too much coffee. I don't really drink that much coffee anywhere else but at work.